The Valleys Cowl and Boot Cuff Set are the perfect accessories to pair with your favorite coat and boots. You can maintain style while staying warm no matter how cold the weather or office. An unique wool cowl and boot cuff set to keep you warm throughout the winter. As an exclusive design for Creations By Courtney, this one of a kind Valleys Cowl will become a favorite accessory to pair with your Fall and Winter coats. The elevated stitch can create a valley or a mountain, depending on how your wear it, surround your neck in warmth, and maintain your style. It was made wide enough to keep the chill out but not feel too tall or cumbersome. With an adequate length, it is easy to pull over the head without smudging makeup or ruffling your hair. This cowl is the perfect accessory on a fall night when you’re sitting around a fire pit making s’mores. It is made to complement most of your Fall and Winter wardrobe. 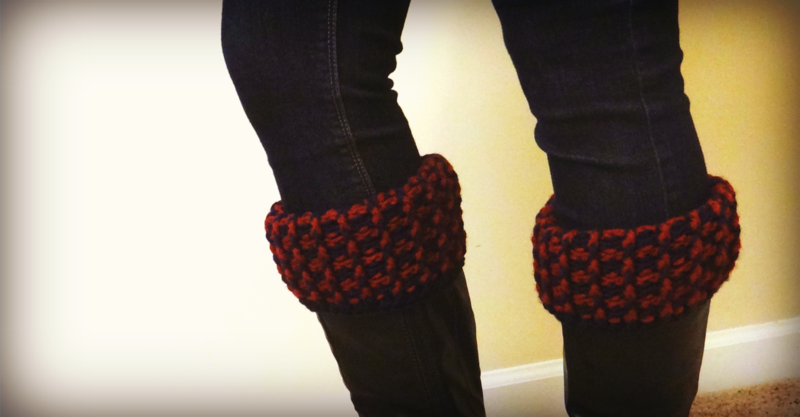 The Boot Cuffs completes the perfect set for the boot lover. When it’s especially cold outside, and your favorite wool socks are nowhere to be found, pull on your boot cuffs to keep the chill away. The boot cuffs provide added warmth around your calf without extra bulk or the discomfort of extra thick socks. 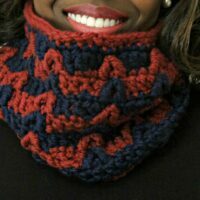 Since it is handmade with matching colors, you’re set to brave any chill with your Boot Cuffs and Valleys Cowl.It is made for one size to fit most. 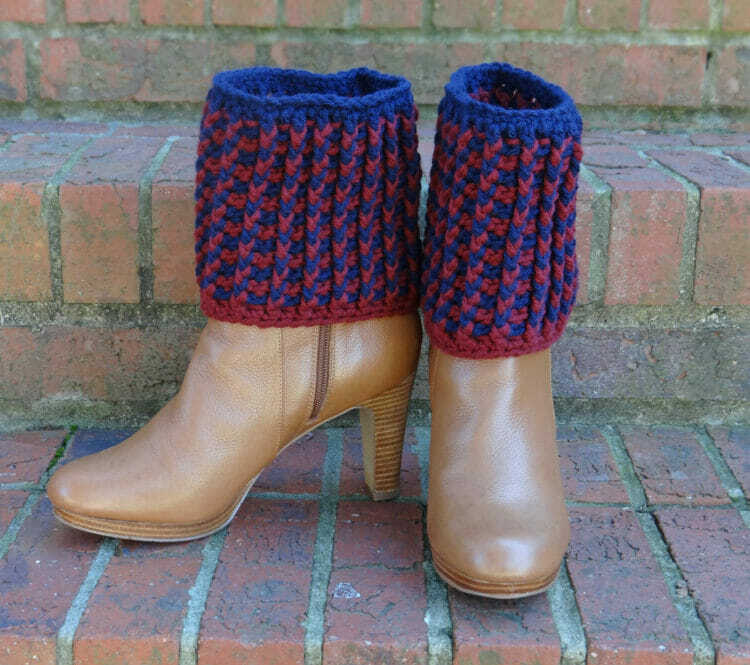 The color combination allows you to wear the boot cuffs two ways- navy or burgundy on top to match your outfit or your mood. Slip on your pair of boot cuffs before zipping up your boots, and it can be worn like tall sock, or it can be rolled over the top of your boots. This makes the perfect gift set for yourself or that friend that is always cold, no matter how thick of a coat. 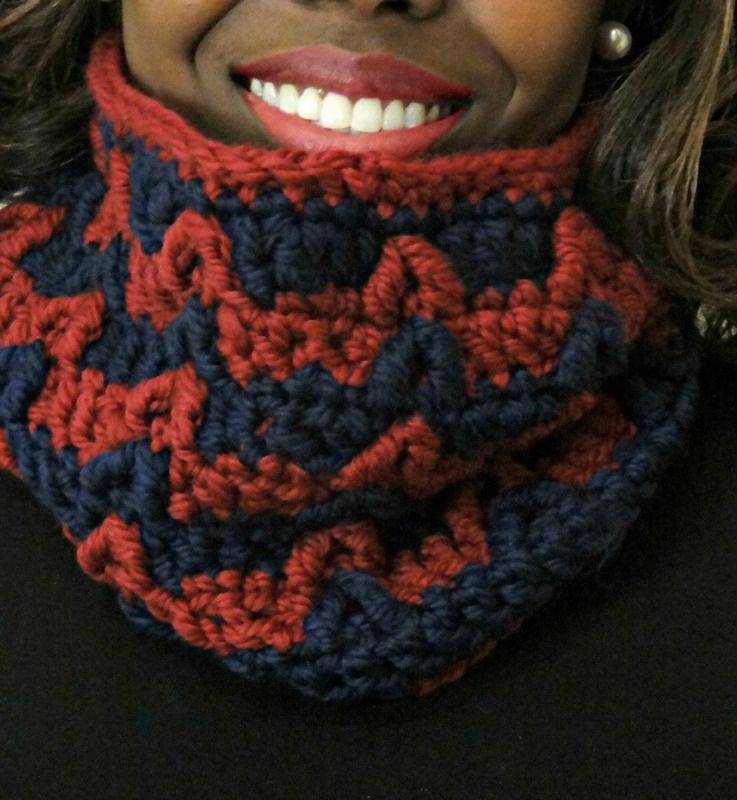 The Valleys Cowl is handmade with 100% wool. 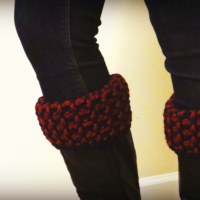 The Boot Cuffs are made with 100% acrylic. Care: The cowl is to be hand washed; roll out excess water, and do not wrong. Lay flat to dry. The cuffs can be machine washed in warm water and dried on medium heat. 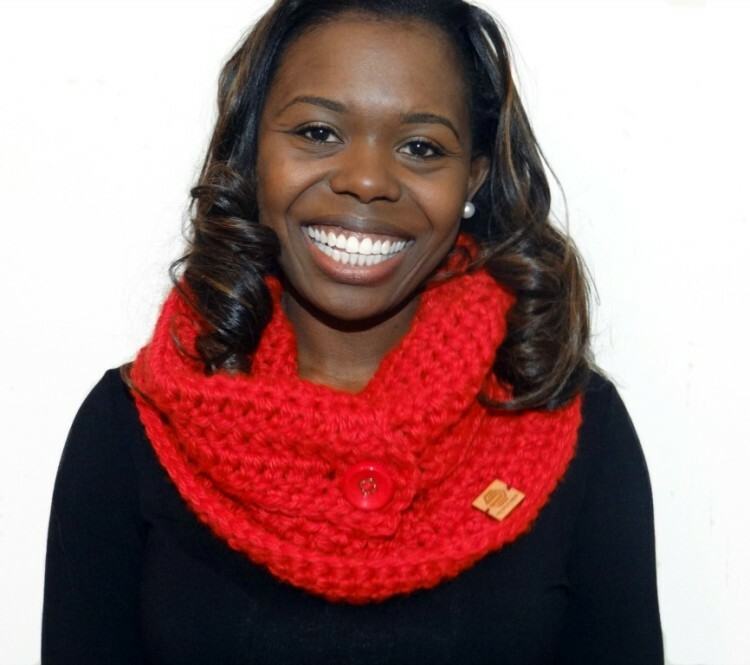 Size: Cowl is 26″ x 6″; one size fits most, and the boot cuffs are 11″ in circumference and 7″ in height. As a set, you get a deal of $15 off of the regular prices! 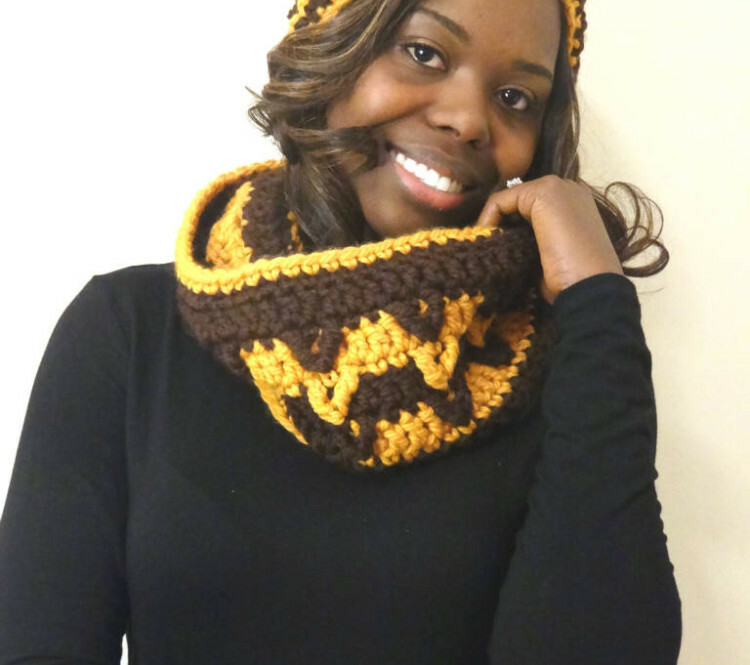 Order your Valleys Cowl and Boot Cuff Set today! Please allow 3-4 weeks for your set to be handmade. Returns will be accepted for these items, unless it is made in a custom color or size.